On November 6 the New Hampshire Supreme Court issued a lengthy ruling upholding the conviction and death sentence of Michael Addison, the state's only death row inmate. The case is the first death-penalty appeal to be decided by the Court in decades. The opinion said additional briefing and oral argument will be required before deciding "whether the sentence of death is excessive or disproportionate to the penalty imposed in similar cases, considering both the crime and the defendant." Addison's attorney, David Rothstein, said he disagreed with the ruling in this first round of review but, “We look forward to the opportunity to address the proportionality of the death sentence, and we will work [ ] diligently on Mr. Addison’s behalf ...” Addison was convicted of the 2006 murder of Michael Briggs, a Manchester police officer. 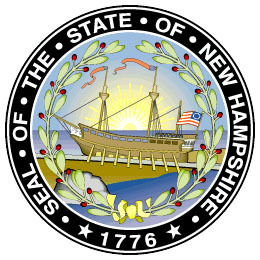 The New Hampshire legislature will consider a bill in 2014 to repeal the state's death penalty for future offenses. The Governor has said she would sign such a bill. (New Hampshire v. Michael Addison, No. 2008-945, Nov. 6, 2013 (per curiam); B. Leubsdorf, "N.H. Supreme Court affirms Michael Addison’s conviction, but no final decision yet on death sentence," Concord Monitor, Nov. 6, 2013). See Recent Legislation.